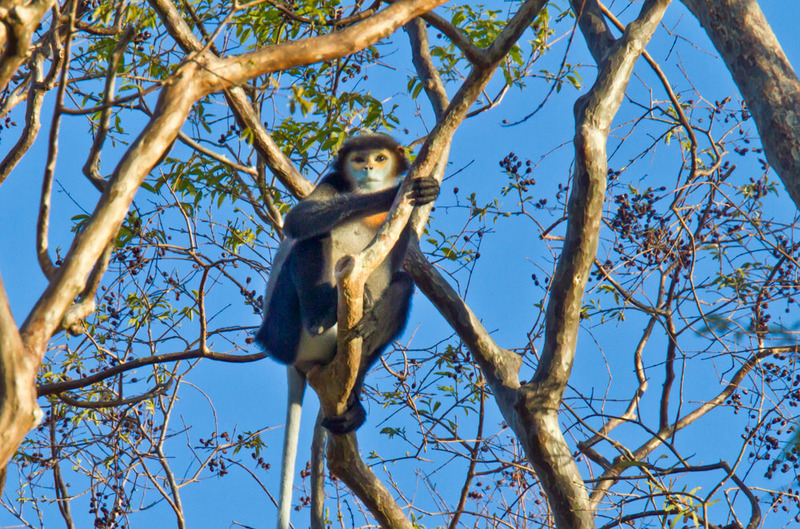 What in the world is a black-shanked douc langur, and how do you find one? First, you might want to research this endangered monkey so you’ll know what to look for. It has a distinctive grayish blue and orange face and long hind legs that make it very agile. Next, pack your bags, because the black-shanked douc langur lives only in Vietnam and Cambodia. And finally, travel with a biodiversity monitoring team trained to spot wildlife in its native habitat. 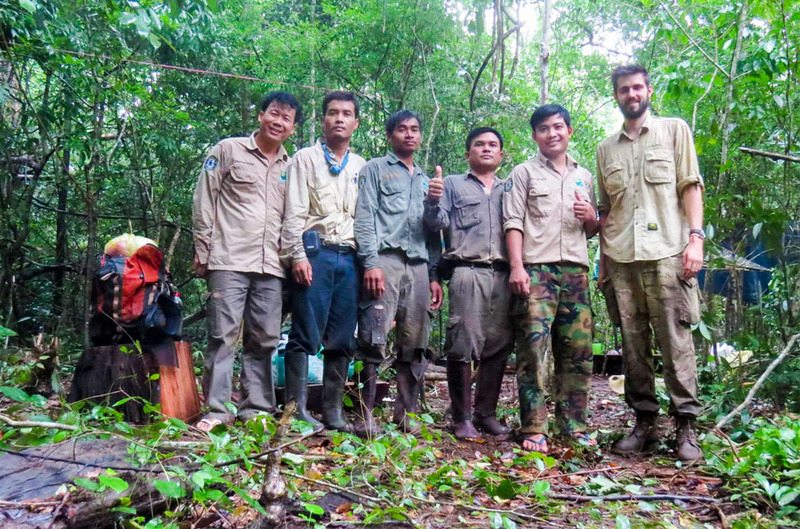 This particular team walked more than 800 miles through Cambodia’s Keo Seima Wildlife Sanctuary in order to spot the douc, which is seldom seen on the ground, preferring the forest canopy. 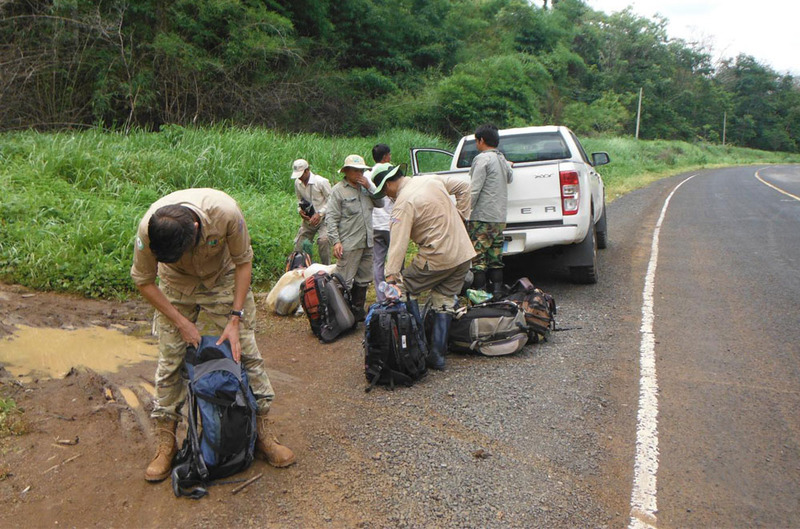 It was all part of this year’s annual 1,300-kilometer (800-mile) forest walk to assess the health of wildlife populations in Keo Seima. The walk was funded by USAID’s Supporting Forests and Biodiversity Project, implemented by Winrock International. The rangers ventured deep into the forest for this year’s survey, completing a total of 40 transects (trips along a fixed path to record plant or animal populations) through the entire sanctuary. The information collected during these transect walks is recorded and analyzed to estimate wildlife abundance across Keo Seima. The black-shanked douc langur is not the only species the team observed. 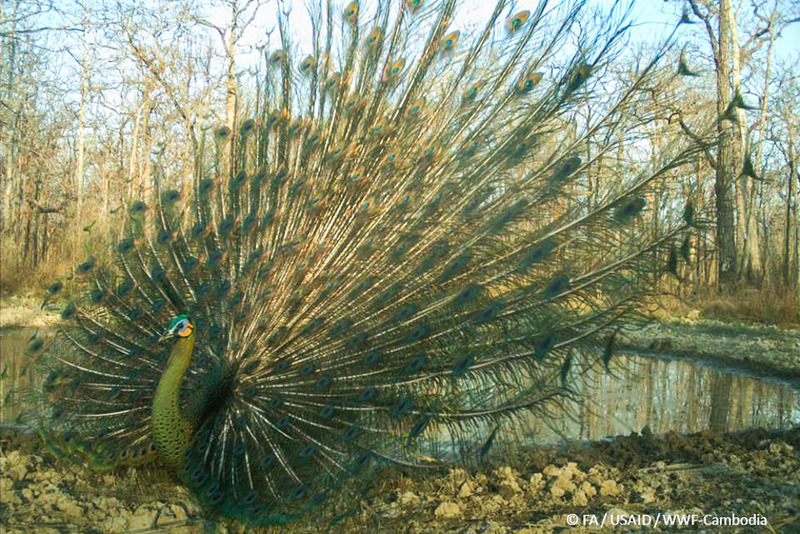 It spotted 12 others, including banteng (wild cattle), gaur (Indian bison), yellow-cheeked crested gibbons — and a green peafowl. For more on the douc langur, click here. 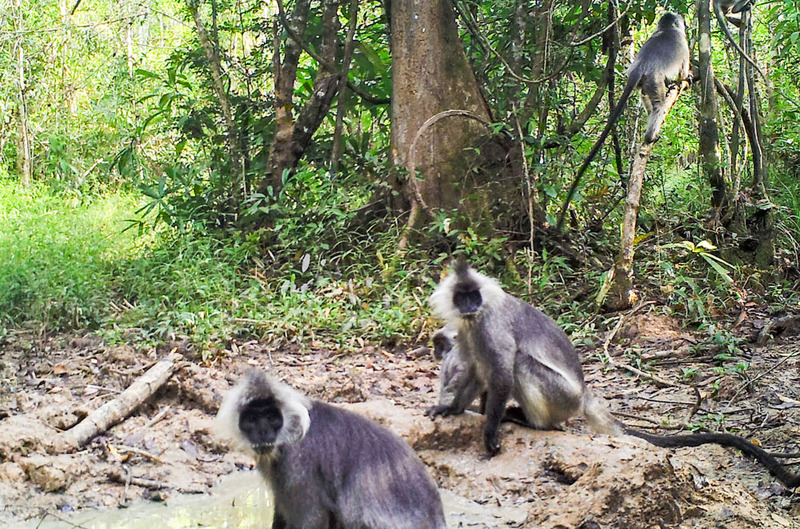 For more on the Keo Seima Wildlife Sanctuary, including the hog badger and the pig-tailed macaque (whose images were captured, as the douc langurs’ below, in a camera trap photo), click here.